Join us for some fun playing sports in the summer sun while getting on-the-job training! Our CIT (counselor-in-training) overnight program runs from June 18 through July 14. There is also an optional third session just for CITs from July 16-28! Program is open to those entering 12th grade in the fall of 2019. URJ 6 Points Sports Academy combines top-level sports coaching and the beloved traditions of Reform Jewish camping. 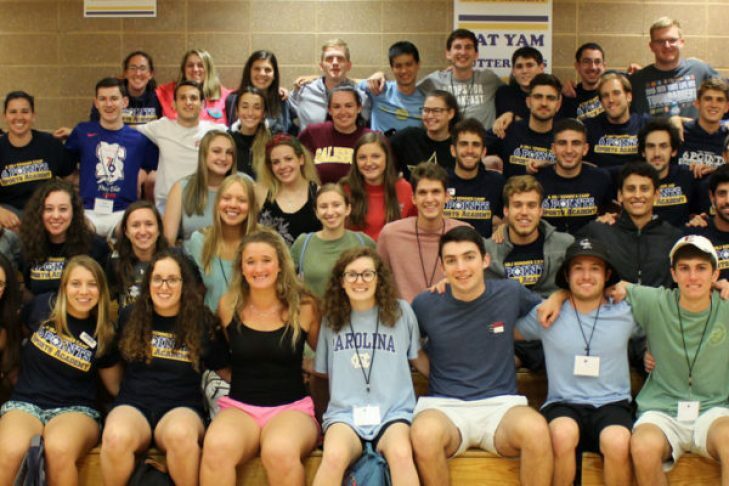 Within our kind and nurturing community, campers form lifelong friendships, feed their passion for their chosen sport and strengthen their identity as Jewish athletes. Sports majors include: baseball, basketball, soccer, tennis, softball, swimming, cheer leading, dance, volleyball and lacrosse. To see the dates and fees schedule, visit our website.